Political commentator Symone Sanders will be the keynote speaker for UTC's MLK Celebration on Friday. › M.L. King Celebration: The Unity Group of Chattanooga continues its 10-day commemoration of the life of the late Rev. Martin Luther King Jr. today and Monday. Get complete details on the group’s Facebook page. Sunday: M.L. King Birthday Party, with the theme “Young Lives Matter,” 4 p.m. at Olivet Baptist Church, 740 E. M.L. King Blvd. Monday: At 1 p.m., wreath laying for U.S. Colored Troops who served in the Union Army during the Civil War and who helped to erect Chattanooga National Cemetery, program takes place across from main cemetery office, 1200 Bailey Ave. At 4 p.m., M.L. King March & Parade, with assembly at 3:30 p.m. at 736 E. M.L. King Blvd. and marching less than a mile to Tivoli Theatre, 709 Broad St. At 5:30 p.m., post-parade program at the Tivoli, “Now Is the Time To Act,” by Lance Watson of St. Paul’s Baptist Church in Richmond, Virginia. › Citywide Day of Service: Chattanooga’s annual citywide MLK Day of Service is Monday. Volunteers will meet for breakfast and a pep rally at 8 a.m. at UTC’s Maclellan Gym, then disperse for community projects. http://connect.chattanooga.gov/mlkdos. › Peace, Love and Unity Service: CHI Memorial Hospital, 2525 de Sales Ave., will host this 27th annual event at 11 a.m. Monday in its community rooms (Entrance B). This year’s program will feature a musical tribute featuring 3Dreamers and Neshawn Calloway. Admission is free. › Lee’s MLK commemoration: Events exploring the interconnectedness between racial justice and the central tenets of the Christian faith will be held next week at Lee University in Cleveland, Tennessee. They include Conn Center chapel services at 10:40 a.m., featuring campus Pastor Rob Fultz and the Rev. Harold Bare of Covenant Church in Charlottesville, Virginia, on Tuesday, and the Rev. Kevin Smith of New City Fellowship in Chattanooga on Thursday. Also Tuesday is a panel discussion, “The Hidden Burden of Racial Trauma,” at 7 p.m. in the Johnson Lecture Hall in the Humanities Center. Other observances, including lectures, film screenings and panel discussions, will continue during the spring. All events are free. Information: 423-614-8353, mmccampbell@leeuniversity.edu. › UTC’s MLK Celebration: Political commentator Symone D. Sanders will address the community and area high school students at UTC’s M.L. King Jr. Celebration with a program from 10:30 to 11:15 a.m. Friday in the University Center auditorium, 642 E. Fifth St. She is a strategist, communications consultant, CNN political commentator and a spring 2018 resident fellow at Harvard’s Institute of Politics at the Kennedy School. Free admission. www.utc.edu. Events commemorating the life and legacy of the Rev. Martin Luther King Jr. are scheduled around the Chattanooga area on Monday and in the days following. Born Jan. 15, 1929, the civil-rights icon would have turned 90 years old this year. The Atlanta native was assassinated on April 4, 1968, in Memphis. He was 39 years old. The federal holiday marking his birth is observed on the third Monday of January each year. President Ronald Reagan signed the holiday into law in 1983, and it was first observed three years later. It wasn't until 2000 that the holiday was officially observed in all 50 states. Since 1994, the Corporation for National and Community Service has led the effort to make the observance of King's birthday "a day on, not a day off," according to www.NationalService.gov. Participation in the MLK Day of Service has grown steadily, with hundreds of thousands of Americans each year engaging in volunteer projects to better their communities. The city of Chattanooga's Day of Service includes a volunteer effort on projects ranging from cemetery cleanups to installing smoke alarms. Registered participants will meet at 8 a.m. Monday for a kickoff breakfast and pep rally at UTC's Maclellan Gymnasium. Locally, the largest commemoration of King's life is led by the Unity Group of Chattanooga, which was formed in 1970 to foster local efforts honoring King. Among its 10 days of events is an M.L. King Birthday Party today at Olivet Baptist Church. Three events follow on Monday. At 1 p.m., the Unity Group will be joined by National Park Partners, Mary Walker Historical and Education Foundation and the 44th U.S. Colored Troops Reenactment Group for a wreath-laying ceremony at National Cemetery. The program recognizes the service of the troops in the Civil War and advances the call to erect a permanent memorial in their honor. The 44th USCT was a Chattanooga-raised unit that saw action in the later months of the war, particularly in the battles of Dalton and Nashville, said Unity Group spokesman Eric Atkins. Later Monday is the annual M.L. King Day March & Parade along M.L. King Boulevard, ending with a program at the Tivoli Theatre. Guest speaker Lance Watson of St. Paul's Baptist Church in Richmond, Virginia, will speak on "Now Is the Time To Act." Elsewhere Monday, CHI Memorial Hospital will host the 27th annual Peace, Love and Unity Service, a musical tribute to King featuring a cappella ensemble 3 Dreamers and vocalist Neshawn Calloway. Also Monday, students from Southern Adventist University, Girls Preparatory School and McCallie School will participate in volunteer projects at two Salvation Army sites. Altogether, about 120 students are taking part. "I love that these three schools are coming together on a holiday to serve our community," says Lauren Russek, volunteer director at The Salvation Army. "Giving back to the community goes beyond what students can learn in the classroom, and we are grateful for their partnership in 'doing the most good!'" Lee University in Cleveland, Tennessee, will host special chapel services and a panel discussion this week exploring "the interconnectedness between racial justice and the central tenets of the Christian faith." The University of Tennessee at Chattanooga has scheduled its MLK Day Celebration on Friday morning. 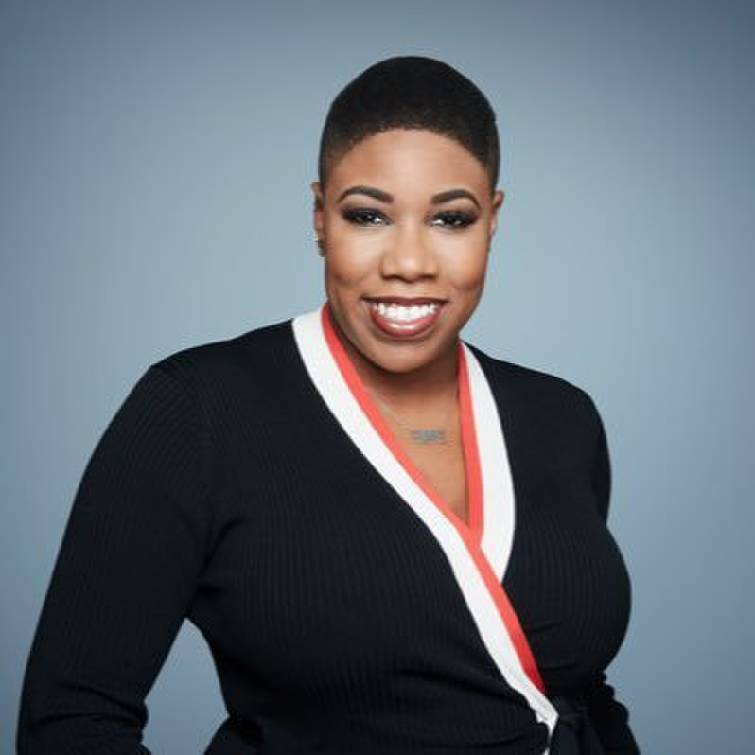 Keynote speaker is Symone Sanders, a strategist, communications consultant and CNN political commentator who served as a spring 2018 resident fellow at Harvard's Institute of Politics at the Kennedy School.